Glamoursplash: Just Who is that Gal? Do you know who this bombshell is? I did not until this weekend. It's just all so interesting. I was at the flea market this weekend and I spotted a black and white photo of a lovely gal in a glamorous swimsuit. The photo was signed from Margaret Kerry, I'd never heard of her. While I was admiring it and asking about the price, the gentleman proprietor told me her story. She was Tinkerbell. What? 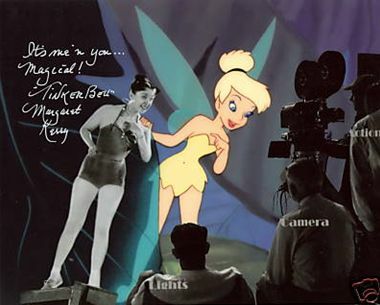 Did you know that Margaret Kerry was the original model for none other than Tinkerbell? 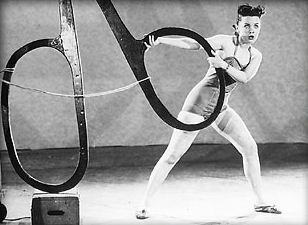 She was only 22 at the time she auditioned for the role. 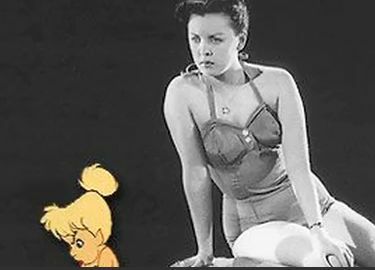 And there was even a myth at one point, that the original Tinkerbell model was once thought to be none other than Miss Marilyn Monroe herself? Well, I didn't purchase the photo but I did come home to find out more. 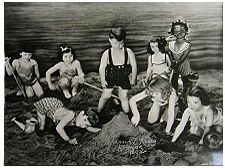 Turns out Margaret also worked with the Little Rascals in the 1930s. You can read more about Margarets time working on TinkerBell here. What a great story!I love learning stuff like this. I had heard the MM story, but did not believe it.